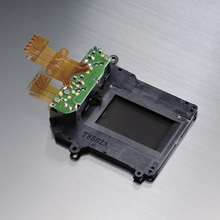 DSLR Cameras are fitted with image sensors. Immediately in front of the image sensor is a shutter that blocks the light. The shutter is normally closed, preventing light from reaching the image sensor. When the shutter-release button is pressed, the mirror is raised and the shutter opens, allowing light to fall on the image sensor. Changing the shutter speed changes the length of time the shutter is open. 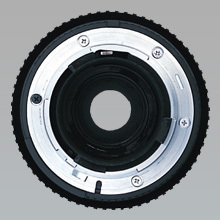 The lens has an aperture or opening consisting of a diaphragm composed of overlapping blades. Changing the aperture value (f-number) changes the size of this opening, in turn changing the amount of light it allows through. The higher the f-number (e.g. f/16), the smaller the size of the opening; the lower the f-number (e.g. f/2.8), the larger the size of the opening. The camera controls the amount of light that falls on the image sensor by adjusting the length of time the shutter is open and the size of the aperture. When the shutter is open, light falls on the image sensor. Increasing the time the shutter is open increases the amount of light that falls on the sensor, while reducing the time reduces the amount of light. Changing the size of the aperture increases or decreases the amount of light passing through the circular diaphragm. Increasing the size of the opening increases the amount of light it lets through, while decreasing the size of the opening decreases the amount of light it lets through.